Dr. Steven Bucci is director of the Allison Center for Foreign Policy Studies at The Heritage Foundation. He was previously a lead consultant to IBM on cyber security policy. 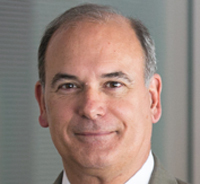 Bucci’s military and government service make him a recognized expert in the interagency process and defense of U.S. interests, particularly with regard to critical infrastructure and what he calls the productive interplay of government and the private sector. Early in his 28 years in the Army, Bucci served in various leadership positions in the 82nd Airborne and the 5th Special Forces. In the Foreign Area Officer program, he completed 4 years of graduate study, language instruction, and regional training in the Balkans. At the JFK Special Warfare Center, Bucci taught European Studies, Foreign Policy, International Relations Theory, and Development Studies, and in the 7th Special Forces, he conducted numerous counter drug and development missions across Latin America. Dr. Bucci was the first ever resident Defense Attaché in Tirana, Albania. As the Commander, the 3d Battalion of the 5th Special Forces, he led major operational deployments to eastern Africa, the Persian Gulf, and South Asia, including Operation Desert Thunder. Post command he served as the Defense Attaché in Sarajevo, Bosnia. Bucci assumed the duties of the Military Assistant to the Secretary of Defense Donald H. Rumsfeld on 1 July 2001, and served in that capacity through the 9/11 attack, and the Global War on Terrorism. While there, he led a team of 25 colonels to Baghdad to directly assist the Coalition Provisional Authority. He retired from active duty in spring of 2005, but stayed to serve as the Staff Director of the Immediate Office of the Secretary, a Presidential appointment to the Senior Executive Service. He also served as the Deputy Assistant Secretary of Defense, Homeland Defense and Defense Support to Civil Authorities. In this position he oversaw the policy issues involving the Defense Domains (Air, Land, and Maritime), National Guard operational issues, Domestic Counter Terrorism, all Readiness Exercises, Defense response to natural disasters (floods, hurricanes, wildfires, and industrial accidents), and became involved in DoD’s response to the growing Cyber Security threats facing the Nation. He acted as the primary civilian oversight of US Northern Command. Dr. Steven Bucci was raised in Dobbs Ferry, NY, and graduated from the United States Military Academy at West Point with a B.S. in National Security and Public Affairs in 1977. In 1986 and 1987, he earned a M.A. and Ph.D. from the University of South Carolina, both in International Relations. Bucci is also a graduate of the U.S. Army War College, the Hellenic Army War College in Thessaloniki, Greece, and the Department of State Senior Seminar. How Should the U.S. Respond in Iraq? The self-titled Islamic State (aka ISIS) continues its push against targets in Iraq, Syria and even Lebanon, while U.S. airstrikes begin to degrade their capabilities. Is it enough? Here are some important questions we should be asking about the situation in Iraq and the threat from ISIS. What does the Heartbleed Cyber Threat Teach Us? The oddly named cyber vulnerability, Heartbleed, is everywhere in the tech news. Even non-tech security types recognize the seriousness of this issue. What is the bumper sticker version of Heartbleed, and what does it teach us? While the Open Source aspects of the Internet yield incredible innovations, they also open up vulnerabilities. Of all the big stories to keep your eye on for 2014, what are three, base-level “working-stiff” issues? They are mobile computing, defense readiness, and the connection between Special Operation Forces and intelligence. If we can get these right, it would take us a long way towards better security. The Honorable Jeh Johnson has been nominated to replace the long departed Secretary of the Department of Homeland Security (DHS) Janet Napolitano. Strangely, President Obama has portrayed Johnson as a highly qualified candidate. The President seems to be the only one who is impressed. There are a couple of major holes in Johnson’s resume. The Defense Department and the Department of Veterans Affairs have announced they will seek help from the private sector on finding a way to share personnel files between the two huge organizations. This follows a disastrously unsuccessful attempt to resolve the issue themselves, costing more than $1 billion. The system has been choking for far too long. Why has this happened? Senate Majority Leader Harry Reid and his congressional colleagues’ proposed Cyber Security Act of 2012 is the wrong solution for America’s cybersecurity problem. The split is not between Democrats and Republicans; it is between competing views of the way to better security. The main reason these efforts are wrong is that they are based on a regulatory model. This sort of solution is a 19th-century answer for a 21st-century problem. An interesting thing happened this weekend – two diverse voices came in violent agreement on the threats America faces today. First, CBS reporter Laura Logan, a renowned Middle East war correspondent; then, Governor Mitt Romney, in a foreign policy speech at the Virginia Military Institute this past weekend. They separately emphasized that only by showing strength to foreign radical groups will we ever hope to have a degree of safety.